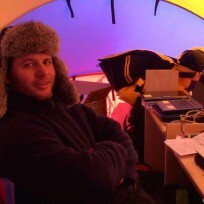 Scientists from Germany’s Kiel University and British Antarctic Survey (BAS) have used data from the European Space Agency (ESA), Gravity field and steady-state Ocean Circulation Explorer (GOCE) mission to unveil key geological features of the Earth’s lithosphere – the rigid outer layer that includes the crust and the upper mantle. 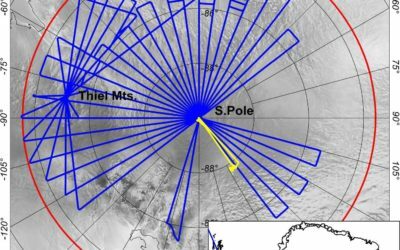 Published this week in the journal Scientific Reports the study is a step forward in the quest to image the structure and setting of different continents using satellite gravity data, including Antarctica, the least understood piece of the whole plate tectonic puzzle. 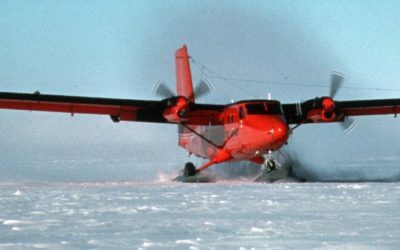 Satellite gravity provides a new tool to link the remote and ice-covered continent with the rest of the Earth. This improves our understanding of Antarctica’s deep structure, which is particularly important, as the properties of its lithosphere can also influence the overlying ice sheets. Global shape index derived from GOCE satellite gravity data. Dome-ridge features characterise Earth’s oceans while valley to bowl features prevail over continents. Several deep blue areas on the map reveal different cratons -some of the oldest cores of the continents, e.g. in Canada, Greenland, Africa and Antarctica. GOCE measures differences in horizontal and vertical components of the gravity field – known as gradients. These gradients can be complex to interpret and so the authors combined these to produce simpler ‘curvature images’ that reveal large-scale tectonic features of the Earth more clearly. 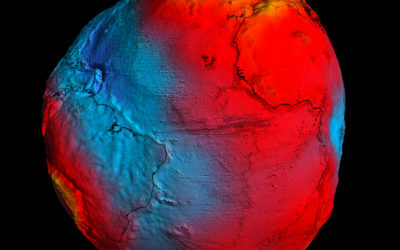 “Our new satellite gravity gradient images improve our knowledge of Earth’s deep structure. 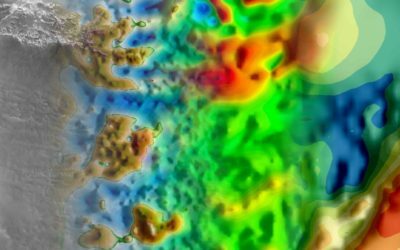 The satellite gravity data can be combined with seismological data to produce more consistent images of the crust and upper mantle in 3D. This is crucial to understanding how plate tectonics and deep mantle dynamics interact”. Shape index for the Antarctic continent superimposed on bed topography. 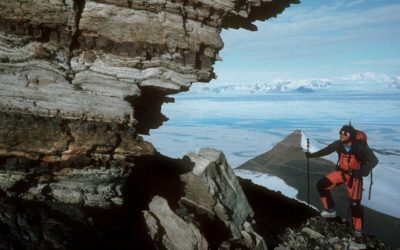 The contrast between the thinner crust and lithosphere of West Antarctica and the thicker crust and lithosphere of East Antarctica is apparent. The gravity image also suggests that East Antarctica is a mosaic of old cratons separated by younger orogens, similar to Australia and India. The pronounced blue area in West Antarctica may be related to the proposed Marie Byrd mantle plume, a feature of major interest for investigating the potential for high geothermal heat flux beneath parts of the West Antarctic Ice Sheet. 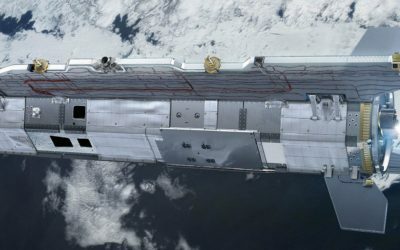 “Satellite gravity is revolutionizing our ability to study the lithosphere of the entire Earth, including its least understood continent, Antarctica. In East Antarctica, for example, we now begin to see a more complex mosaic of ancient lithosphere provinces. GOCE shows us fundamental similarities but also unexpected differences between its lithosphere and other continents, to which it was joined until 160 million years ago”. The new study presents a view of the Earth’s continental crust and upper mantle not previously achievable using global seismic models alone. The authors noted that, despite their similar seismic characteristics, there are contrasts in the gravity signatures for ancient parts of the lithosphere (known as cratons), indicating differences in their deep structure and composition. These features are important. Because they form the oldest cores of the lithosphere, they hold key records of Earth’s early history. 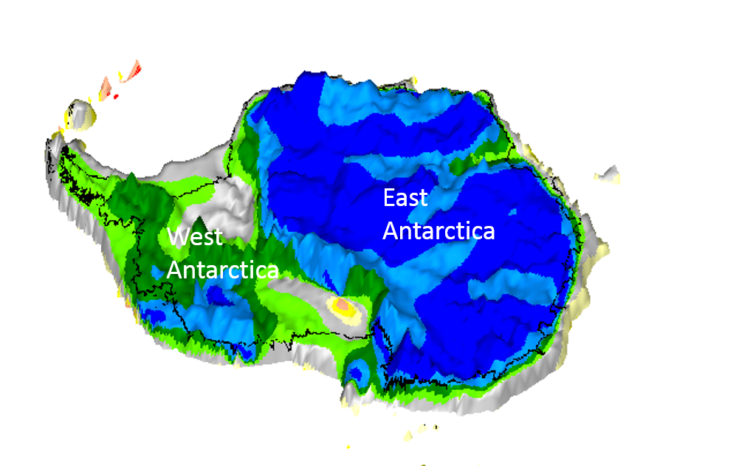 Shape index for Antarctica in a Gondwana supercontinent plate reconstruction since ca 200 Ma ago. 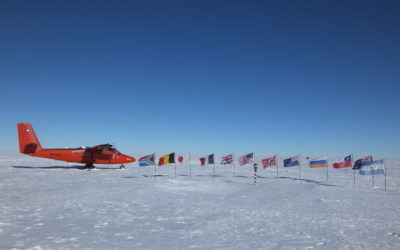 The new satellite gravity data help study the Antarctic lithosphere and its former links with Africa, India, Australia, Zealandia and South America. Citation: Ebbing, J., Haas, P., Ferraccioli, F., Pappa, F., Szwillus W., and Bouman J. Earth tectonics as seen by GOCE – Enhanced satellite gravity gradient imaging. Scientific Reports, DOI: 10.1038/s41598-018-34733-9.